La Gloriette is situated next to Lavau’s characteristic ‘courtyard’ and is a splendidly light, spacious and comfortable gîte for 2. 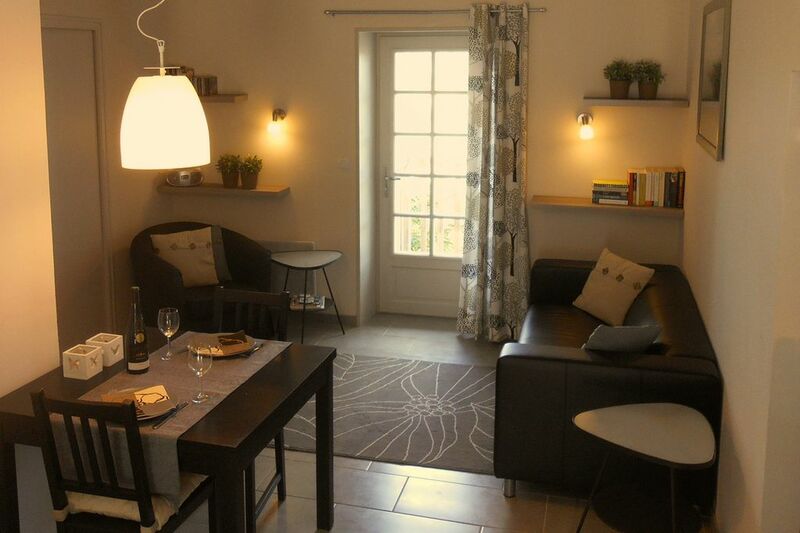 La Gloriette was completely renovated and fitted with every convenience. You enter into the completely fitted kitchen with dishwasher, fridge freezer combo, oven, ceramic plates with extractor hood, microwave, electric kettle, coffee machine and obviously enough pots, pans, kitchen gear, tableware, glassware and cutlery. The living quarters offer a snug dining and sitting area with TV and DVD player. The terrace with adjoining garden can be reached via a few steps. Here you can enjoy the afternoon and evening sun and a beautiful view! Electric heater which makes La Gloriette a good place to stay in every season.